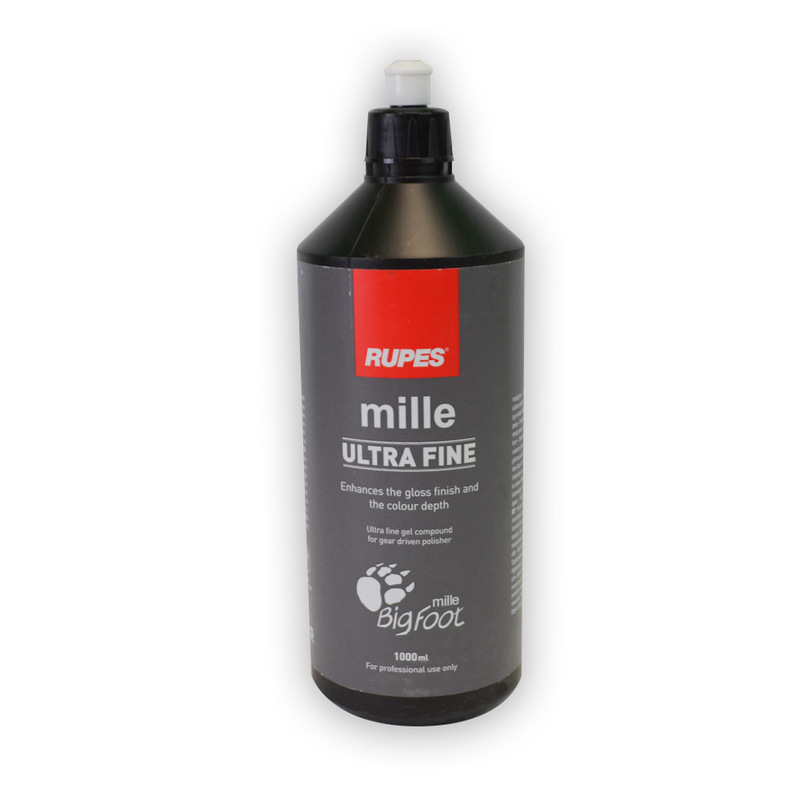 The White Rupes Mille Ultra Fine Polish is designed to give you that ultra-perfect finish when used in conjunction with Rupes White Ultra Fine Mille Foam Pad and the Rupes Bigfoot LK900E Mille Gear Driven Polisher. This polish provides incredible depth and shine which makes it perfect for the final step prior to applying a wax or sealant. The Rupes polishes and compounds work great with the Rupes brand polishing and compounding pads and we suggest the use of them with their product line-up. The Rupes products are colored coded to their corresponding polishing or compounding pad. The Rupes Mille White Ultra Fine Polish which has a yellow cap is to be used with the Rupes Mille White Ultra Fine Foam Pad.